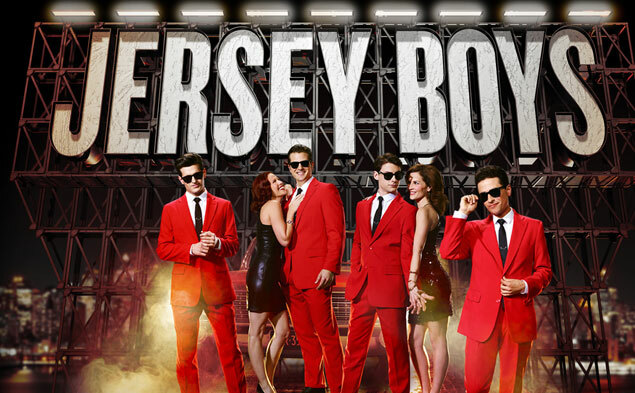 Beginning next summer, Norwegian Cruise Line will feature Tony Award-winning musical Jersey Boys on Norwegian Bliss. As one of the longest running shows in Broadway history with 11 record-breaking years, Jersey Boys will hit the high seas for its first production at sea as Norwegian Bliss sails to Alaska and then the Caribbean starting June 2018. 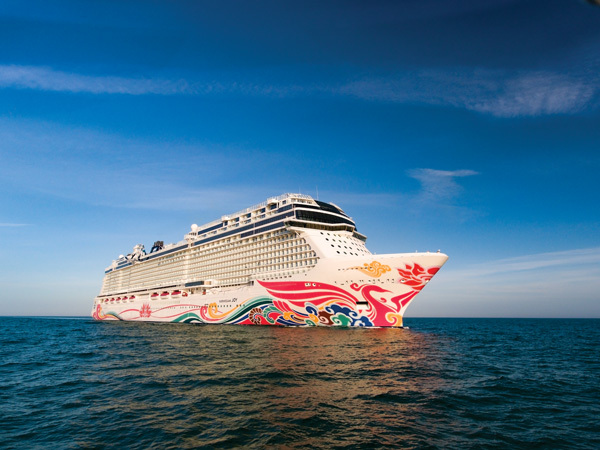 As the first cruise line to feature branded entertainment in 2010 aboard Norwegian Epic, Norwegian Cruise Line is bringing dazzling displays to life in the Bliss Theater aboard its sixteenth ship, Norwegian Bliss. Starting with the 2006 Tony Award-winner for Best Musical, Jersey Boys, together with the new Alibi comedy club, nightlife venue, a new theatrical cocktail hour experience and a rendition of the legendary Beatles’ Cavern Club venue, the cruise line will work to perfect its outstanding musical sounds while creating new and original shows directed, choreographed and styled by the likes of Warren Carlyle, Isabel Toledo and Ruben Toledo. The Cuban-inspired Broadway-style musical created by Warren Carlyle will be produced specifically for Norwegian Bliss and will feature costumes by famed Cuban-American fashion icon, Isabel Toledo. The show’s art and scenic designs will be handled by Cuban-American artist, Ruben Toledo. The thrilling performances of The Voice of the Ocean have rocked the production stages aboard Princess Cruises since it debuted on Regal Princess in October 2015. The sensational show that casts a huge spotlight on cruise passengers determined to show off their vocal abilities was modeled after the highly popular international singing competition, The Voice. Many promising high seas stars have experienced the best time of their lives as they went from karaoke auditions to phenomenal live shows hosted by Cruise Directors. The Voice of the Ocean was featured on Royal Princess and Caribbean Princess in November 2015 and eight additional ships starting in January 2016. There are only a few months to go before the end of the competition in May 2016, so check out the highlights of the blind auditions, mentor sessions and ultimate performances in the video below. 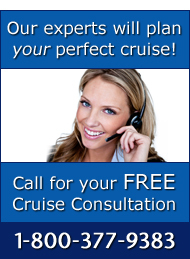 Then, give us a call for more information on how to participate in the show once you book your Princess cruise! The fall 2016 concert series for Carnival will feature some incredibly talented artists who have achieved great success in their various fields of entertainment. With huge audiences and countless social media followings, you can’t afford to miss out on what is set to be one of the best onboard productions in the world of cruising. These captivating shows will include performances from Sam Hunt, Jim Gaffigan and Chris Tucker. Sailing with a shipful of fellow fans eager to see their favorite artist/comedian promises an atmosphere filled with massive energy and unforgettable encounters you are sure to rave about. American Music Award recipient, Grammy-nominated artist and chart-topping country musician Sam Hunt will deliver spectacular shows aboard Carnival Fantasy on October 19th and Carnival Splendor on October 20th, 2016 in Cozumel, Mexico. 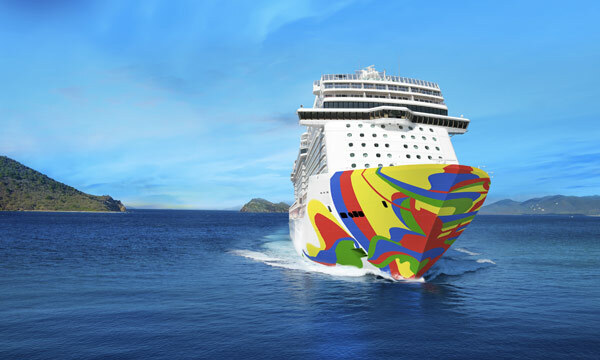 Creativity at its peak is what Carnival plans to roll out this spring with the highly-anticipated debut of Carnival Vista on May 1, 2016. Just when you thought you’ve seen it all, you get enchanted by Carnival’s ingenious SkyRide, an aerial attraction added to the long list of open-air amusement rides this amazing cruise line is well-noted for. From the emerald green waters of the Caribbean, to the azure blue waters of Europe, you will finally get to take in the splendid ocean views you’ve always dreamed of from a bird’s eye view at an incredibly high altitude! Who wouldn’t want to peddle in the air? We didn’t think so! Be sure to check out the 800-foot-long track of the SkyRide speeding up to 25 miles per hour when you get onboard Carnival Vista. In the meantime, allow us to whet your appetite for this adrenaline-pumping thrill with a fun virtual tour of the SkyRide, both in its construction and testing phases. If you haven’t made your booking for a cruise aboard Carnival Vista, give The Cruise Web a call today on 1-800-377-9383, and find out the awesomeness bundled up in the ‘future of fun’. Get ready for Sandy Dumbrowski, Danny Zuko and the rest of the Rydell High gang because the popular Broadway musical Grease is making its way aboard Royal Caribbean! The latest Broadway adaptation by Royal Caribbean Productions will bring Grease and all its crowd-pleasing music to the high seas, including “Greased Lightnin’,” “Summer Nights,” “Beauty School Dropout,” and more. Grease is just the latest addition to Royal Caribbean’s extensive collection of award-winning onboard musical entertainment, including We Will Rock You, Mamma Mia, Cats and Saturday Night Fever. 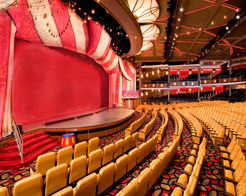 To experience any of these catchy, toe-tapping performances in person, contact our Royal Caribbean cruise experts at 1-800-377-9383. Have you ever dreamt of showing off your vocal abilities in a more grandeur fashion? If so, get ready to part ways with karaoke bars and start packing for the most sensational adventure of your life! 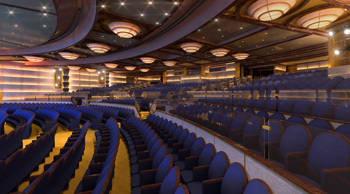 Princess Cruises recently announced an exciting move to take onboard its version of the insanely popular international singing competition, The Voice; giving cruise passengers a shot at becoming high seas stars! Welcome… The Voice of the Ocean! 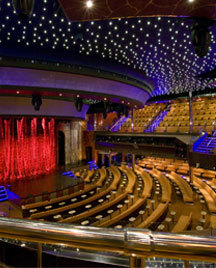 Beginning with auditions once onboard and ending with a phenomenal live show hosted by the Cruise Director on the final night of the cruise, participants are guaranteed an adrenaline rush sure to last a lifetime of coveted memories. 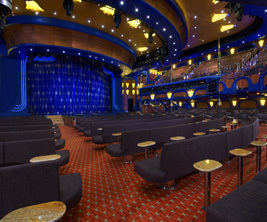 Once the cruise takes off, passengers and crew members will select contestants from karaoke tryouts for an opportunity to showcase singing talents in multiple performances rehearsed with expert vocal mentors, Princess Band and back-up singers. During the final night of The Voice of the Ocean, three prominent team coaches will decide the fate of selected contestants as finalists, based on outstanding performances. At that point, the audience will be given the power to vote for the ultimate winner of the competition! This competition will debut on Regal Princess in October 2015 and on Royal Princess and Caribbean Princess in November 2015. Starting January 2016, The Voice of the Ocean will be featured on eight additional ships until May 2016. This is an amazing cruise experience you won’t want to miss! Check out Princess Cruises today for a chance to become a featured high seas star! 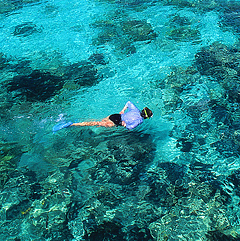 One of the best aspects of cruising is that you’ll never run out of opportunities to do something new and adventurous (unless you’ve done it all – in which case, stop bragging). Aim to do something that makes your friends back home jealous! Need inspiration? Take a walk on the wild side and explore our favorite adventures!